Shortcrust pastry is perhaps the most used pastry in recipes, it can be either used as a regular ‘classic’ shortcrust pastry (using both butter and lard) in savoury recipes such as pies and pasties, or it can be made richer (by just using butter and a beaten egg, or milk, instead of water to bind) or you can make a Sweet Shortcrust Pastry for fruit pies and desserts (by using just butter and adding sugar). To scale up the ingredients to make more (or less) shortcrust pastry all you need to remember is that for whatever the weight of flour you need, use just under half that weight in fats (butter and lard) i.e. 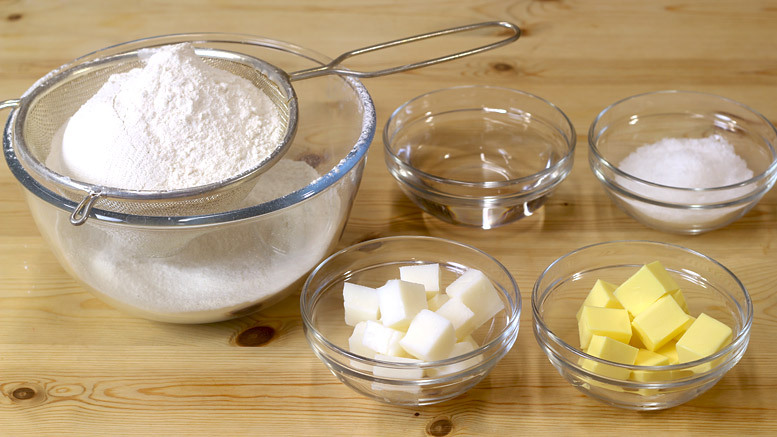 four parts flour to two part fats and slightly more butter when making a sweet shortcrust pastry. Some recipes call for a pastry using self-raising flour, or plain flour with baking powder, this helps lighten the pastry. Note: the only pastry you should buy from the shops is puff-pastry, never buy any shop-bought shortcrust pastry … even the best is dreadful. We bought the most expensive shortcrust and sweet shortcrust pastry available and compared to home-made pastry it was shockingly bad. Both were wet and claggy, with an awful texture, and they rolled out terribly, the sweet one was overly sweet, and it could not hold itself together in a flan case. We tried with different, cheaper makes, and it was the same. Verdict: don’t bother, its cheaper to make your own and it is far superior. At its most basic a short-crust pastry is just flour and fat mixed with water. However, the water can be substituted with milk or beaten egg, you can use either/or lard and butter for the fats, and other ingredients like sugar or salt can flavour the pastry. Yet the proportions of the basic ingredients, and the mixing method, is crucial for making the correct texture for the pastry. And a vital ingredient, which most people don’t think about, is Air, the more air incorporated into the mixing, and rolling out, the lighter the pastry will be. 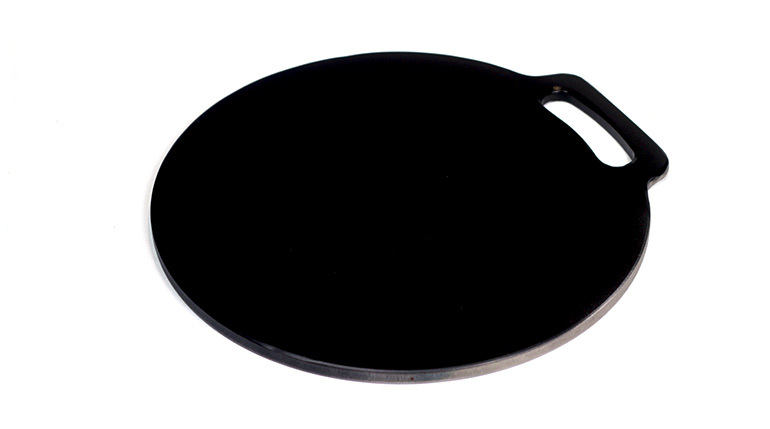 Which is why sometimes baking powder is added or self-raising flour is used. When mixing and rolling out the aim is to introduce as much air into the pastry as possible. 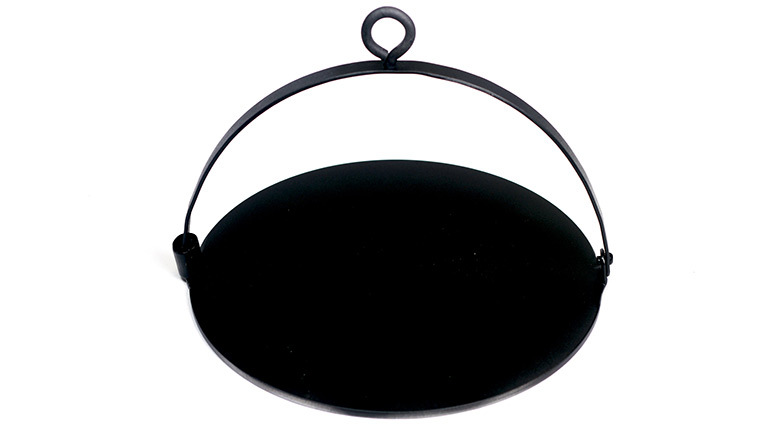 Use an overly large mixing bowl when making the pastry, especially when you are rubbing in the fats – rub and lift the flour at the same time, sprinkling it from height back into the bowl. Sift (or sieve) the flour into the mixing bowl first. 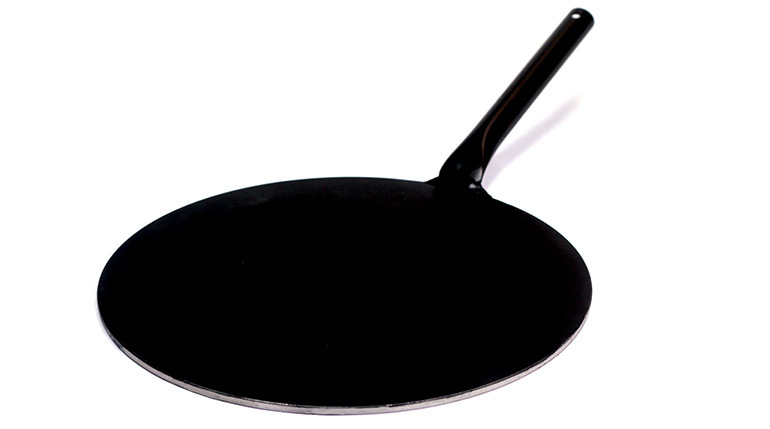 This not only sifts out any lumps but introduces air, with an even distribution. Always keep the ingredients and utensils cool, use cold butter and lard for rubbing in, and ALWAYS weigh out the ingredients needed, particularly the fats used, as too much can make the pastry break down, too little will make the pastry hard and tough. Also, after making the pastry, cover it in cling film (thin plastic kitchen roll) and chill it in the fridge – let the pastry rest for twenty minutes before using. This makes it easier to roll out, because it has chilled the incorporated fats down, which bind with the flour, helping to withstand the pressure of the rolling. 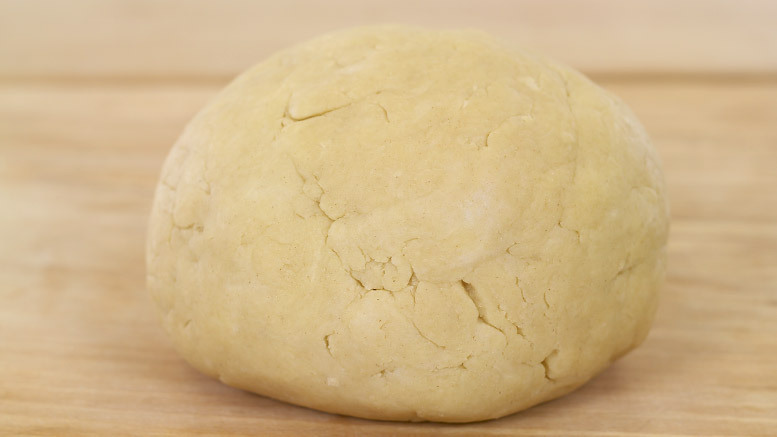 Roll the shortcrust pastry out on a lightly floured work surface, if the pastry has been correctly made it will not need too much extra flour cast on it when rolling, only enough to stop it from sticking to the work surface. The recipe for sweet shortcrust pastry and the steps are the same as below for the classic (or regular) shortcrust pastry. The only difference is use all butter (250g worth) instead of the lard, and sprinkle in the caster sugar (50g) after the butter has been rubbed in to make the fine breadcrumbs, and bring together with two egg yolks instead of the water. Hand-made: In an overly large mixing bowl sift in the flour and sprinkle in the ground sea-salt. Take the diced cubes of cold butter and lard and rub this into the flour with your finger-tips – until it resembles fine breadcrumbs. As you rub take little pieces of fat and flour and rub them between the forefingers and thumbs – lift it up and left it sprinkle back down from height. At various stages (infrequently) lift a large portion of the flour and gently rub it between your hands from height, letting it sprinkle back down. This lightens and breaks up the mixture, but try not to heat the flour and fats up as you do this. 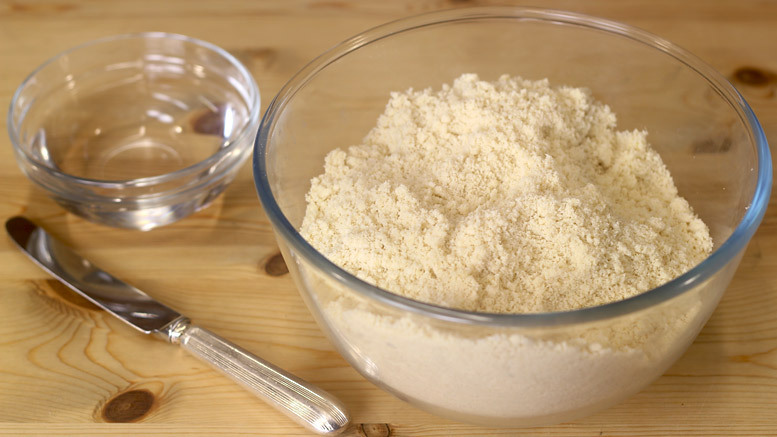 Once at the fine breadcrumbs stage make a well in the centre and with the back of a blunt knife mix in the water, a little at a time, to bring the flour and butter into a pastry dough which is silky and smooth. It is surprising how little water you need to do this, so add the water in, in stages. Once the pastry starts to bind, and leaves the sides of the bowl clean, bring the pastry together with your hands and then roll into a ball. 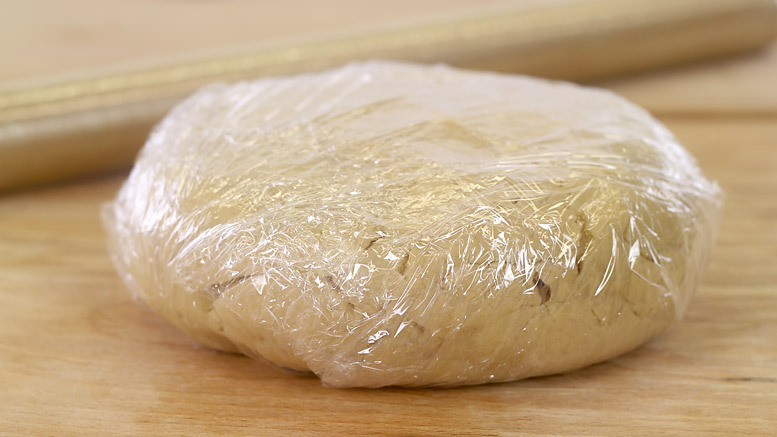 Flatten it slightly, cover in cling film (thin plastic kitchen wrap) and place the pastry dough in the fridge to chill for twenty minutes before using. Machine-made: add the sifted flour, butter and lard (diced cubes) and salt to a food processor and blitz on the pulse setting until the mixture resembles breadcrumbs. With the motor running add in the water, in a constant stream, until the mixture just starts to begin to come together in a ball. 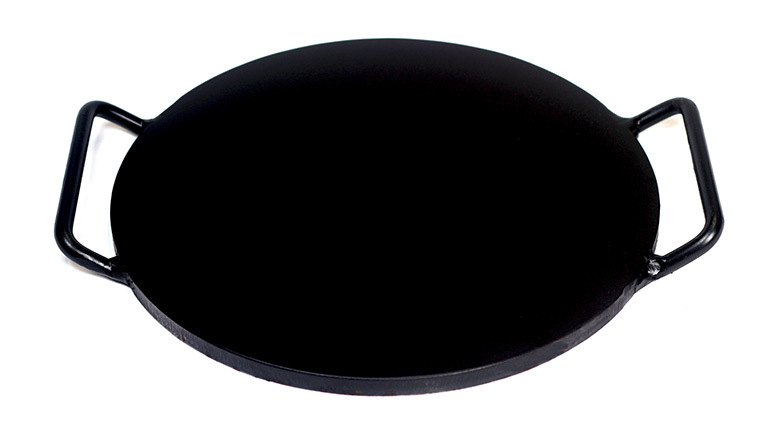 Remove, form into a flattened disc, wrap in cling film, and leave in the fridge to rest and chill for twenty minutes before using.